Researchers at MIT reckon they've struck oil. In fact, you're looking at what they call "Cambridge crude" -- a substance that could halve the weight and cost of EV batteries and make them quicker to charge too. The black goo is packed with a high concentration of energy in the form of particles suspended in a liquid electrolyte. When separated by a filter, these particles function as mobile electrodes that can be pumped into and around a system before the energy is released. So instead of waiting up to 20 hours to juice your Nissan Leaf, you could potentially just pump this pre-charged substance into it -- rather like dirty old gas. Until now, no such "semi-solid flow cell" has been able to hold useful quantities of energy, but this stuff literally oozes with it. Not only could it power EVs, it could even be used for large-scale electricity storage for utilities. The researchers insist this energy revolution is years off -- but when it comes, there will be blood. 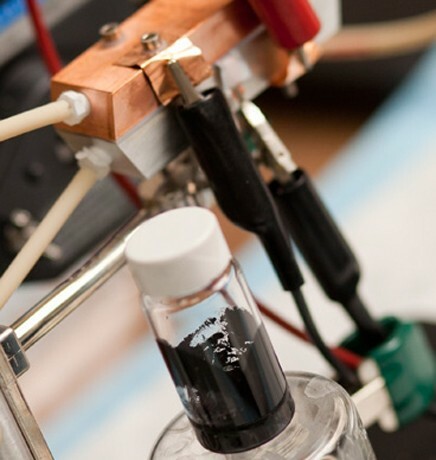 New 'semi-solid' battery for EVs could recharge as fast as pumping gas originally appeared on Engadget on Wed, 08 Jun 2011 12:59:00 EDT. Please see our terms for use of feeds.